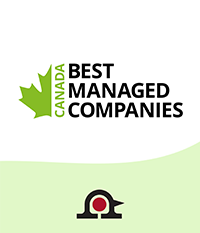 Nightingale has been recognized as one of Canada’s Top 50 Best Managed Companies (BMC) for outstanding overall business performance and growth. Now in its 25th year, Canada’s BMC is the country’s leading business awards program. Compiled by Deloitte in partnership with Maclean's magazine, this national business awards program recognizes Canadian-owned companies that demonstrate strong ethics, strategy, and commitment to achieve continuous growth. Each year, hundreds of ambitious companies undergo a rigorous application process, but only the best are awarded this prestigious designation. "Being amongst the best in class requires more than financial performance," said Lorrie King, Partner, Deloitte and Co-Leader, Canada's Best Managed Program. "Achieving sustained growth and strong overall business performance is the result of the combined efforts and commitment of the entire organization." For 90 years, Nightingale has been advocating equality in the workplace—whether it's age, gender, race, or disabilities. "The most important attribute of a successful company is [the] people. We're grateful to have such a talented, diverse team who all work together towards the same goal," said Edward Breen, President. Nightingale will be attending the 2018 Canada's BMC awards gala on April 11th in Toronto, ON. The gala will also be accompanied by a panel discussion which will address the major business concerns that are key to helping current leaders to be successful and thrive in their respective industries. Established in 1993, Canada's Best Managed Companies is the country’s leading business awards program, recognizing excellence in Canadian owned and managed companies with revenues over $15 million. Every year, hundreds of entrepreneurial companies compete for this designation in a rigorous and independent process that evaluates the calibre of their management abilities and practices.